She is one of the busiest and nicest persons I’ve meet online. If you are a chocolate lover, as I am, you will be happy to learn of the amazing benefits of chocolate, including strengthening teeth enamel. Click here for more on this post. 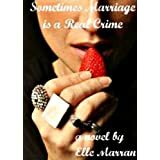 She recently published her delightful debut novel Sometimes Marriage is a Real Crime and is writing a sequel to it. If that is not enough, she has just released a new book titled Life’s Too Short to Eat Bad Cheese. What a fantastic title! Ellie has asked me to participate in this Tour Through Blogland. Thank you Ellie for thinking of me and for all the wonderful things you said about me on your tour. These days I am editing my second crime novel and working on a revised edition of Missi’s Dating Adventures. In this second edition I am inserting lessons Missi has learned from each unsuitable date. 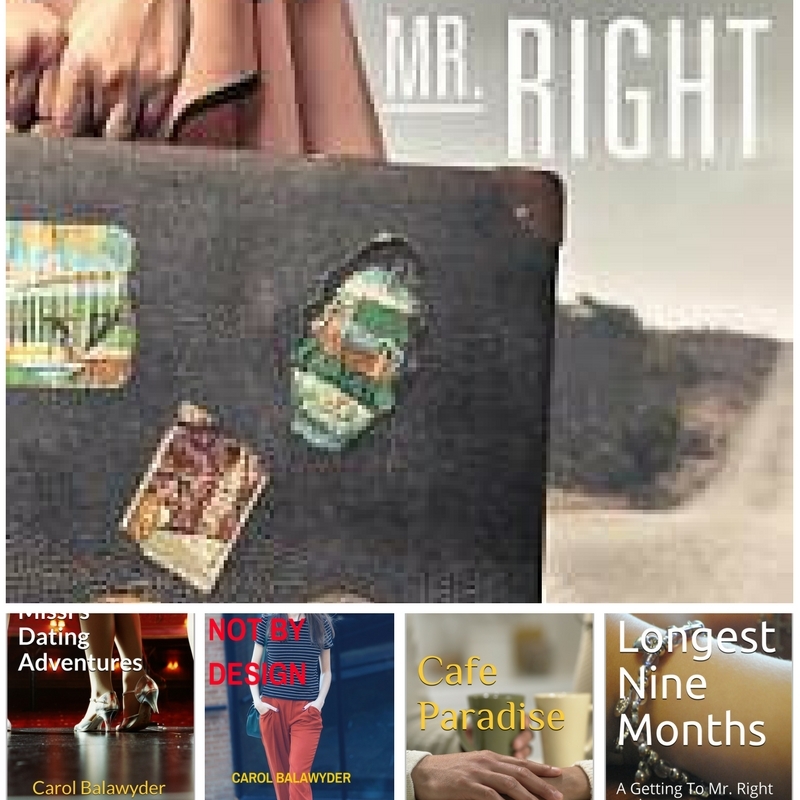 My contemporary women’s fiction is about middle aged women who find themselves single again. In my novel Getting To Mr. Right I explore the effects of father abandonment on a woman’s relationships with men. As for my crime novels I stay away from gore or explicit violence. I have often wondered how the wives, children and other relatives cope when they find out that their husband/father/brother/son is a serial killer. In it I tackle this theme where Annie, a nineteen year old woman falls for Niko not knowing how disturbed he is. I like to write about what drives people to commit a crime and I especially like to dwell into the effects crime has on its victims. I’m not too certain if that makes me different. I write so that I might inspire, encourage, and entertain. I write because I like doing so. It’s a mystery and magical as well. The greatest skill I have is trust. I never force anything. I try to be as organic as possible. If I’m stuck, I’ll give my brain the problem to solve. I need to be patient for the solution to come. I think creativity works like this. I’ve learned that solutions can come anywhere and anytime. Maybe during a yoga class (that happens) while listening to a podcast or overhearing someone in line at the grocery store. It’s a matter of being awake and making the connections. As Ellie featured me on Tour Through Blogland, it gives me great pleasure to introduce to you Ann Fields, a wonderful storyteller, author and co-founder of the Writers Block a non-profit organization that supports African American writers. Ann’s books have received national coverage in various media outlets and nominations for industry awards, including the Romance Writer’s of America’s Best Multi-Cultural Romance Award. Before retirement from corporate, Ann Fields was a staff writer for an international ministry; a public relations and marketing professional for a sports management firm; a technical writer in the transportation field; an analyst in the telecommunications industry; and a manager in the regulatory arena. She values her nearly 20 years of varied corporate experience as it provides much fodder for stories and characters. Now, as a full-time writer, Fields focuses on writing novels, short stories, and screenplays. Through my writings, I choose to be part of the mass movement aimed at advancing this world in a positive way and aimed at helping humanity truly embrace “all that is good, noble, pure, and right.” If, through my writings, I touch people emotionally, or move people to think about long-held beliefs, or force people to engage in positive legacy work, then I consider myself a successful writer. Ann, I wish you all the luck and success with your writing and your bucket list. And I am truly honored to have you as part of my blogging community. Thank you Ann for for accepting the nomination to Tour Through Blogland. 1. Pass the tour to another blogger (up to 4 others). 3. Answer those 4 questions about your creative process (allowing other bloggers and visitors to know what inspires you). This entry was posted in A Blog I like, Writing and tagged Ann Fields, Ellie Marrandette, Fuller's Curse, Geting To Mr. Right, Life's Too Short To Eat Bad Cheese, Sometimes Marriage is a Real Crime, Stop Stalling and Write, Tour Through Blogland, Voices From the Block. Bookmark the permalink. I’m so happy to hear about your speaking engagements. All the best, Ellie. “I’ve learned that solutions can come anywhere and anytime.”—Isn’t that the truth? That’s why I think even when we’re not physically writing at the computer, we’re often still writing. The premise of your crime novel sounds intriguing! The problem with being a writer is that you can never really close the office door at 5 o’clock. Carol, beautiful job! Thank you so much for the great write-up and more so for the invitation to participate in A Tour through Blogland. I so enjoy learning what sparks other writers’ creativity and to read about their WIPs. Eagerly awaiting your next release….sounds fascinating. Ellie and Ann are two great writers and beautiful persons. I’m sure you’re going to love Ellie’s health tips. Ann has such integrity and class. I feel so lucky to have you as well as so many other wonderful people as part of my blogging community. This is so beautifully presented, Carol. You make me want to read both books — of course the content speaks for itself — and I thoroughly enjoy reading about the creative process for different writers. Thank you. 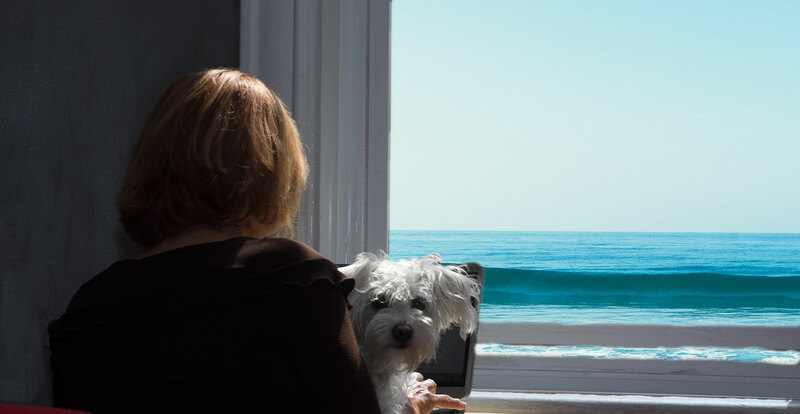 I love the Tour Through Blogland awards as they get behind the scenes with some of our favourite bloggers.. here is Carol Balawyder.. I learn a lot through your blog Carol, thanks! It makes me happy to hear that! 🙂 Thank you. Thanks for sharing your process and inspiration, Carol. Very interesting and cool. Cheers!